We use very little premade curriculum in our homeschool. I tend to build my own curriculum using library books, printables I find online, documentaries, workbooks, YouTube videos, and as many hands on activities as I can come up with (Pinterest is full of awesome ideas). In this post I share how my family is studying U.S. geography without a curriculum or text book. This method would also work great for world geography and geography of other regions. Once we're done with all 50 states, we plan on moving onto the countries of the world. U.S. map and had her pick a state to start with. She choose Hawaii. We really try to avoid toxins in our household, including unnecessary medications. Instead we use herbal medicine and other natural remedies as much as possible. This isn't to say that mainstream medicine doesn't have it's place though. For serious medical issues, please consult with your doctor. But with cold and flu season quickly approaching, I thought I would share several of my favorite fever reducing remedies. Fevers are not bad thing. A fever is part of the way your body fights off viruses and bacteria that make us sick. Reducing fevers can actually prolong illness. Fevers typically don't need to be reduced unless they get really high or the child is super uncomfortable and needs relief. Otherwise I just ride a fever out and let it do it's job. I decided to read Harry Potter and the Sorcerer's Stone aloud this year. My kids are already huge Harry Potter fans just from the movies, I thought it was time to introduce the books. My 3rd grader is loving pointing out all the differences between the book and the movie. 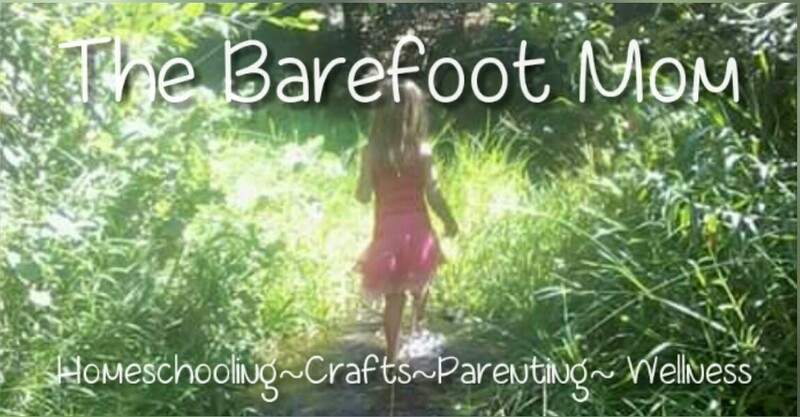 In this post I share several activities you can do with your kids as you read the book. We did this activity after reading the Diagon Alley chapter when Harry buys his wand. My kids and I love watching the leaves change color in Autumn. This year I planned a fun leaf investigation to do with some of the leaves we collected on our nature hikes. We made leaf rubbings, learned about the parts of a leaf, did an awesome autumn leaf color extraction experiment, and more! To read more about our investigation, check out the full post at One Hundred And One Pursuits. One place you are guaranteed to find my boys barefoot is at the beach. Since we live by the coast in Egypt, you'll find us down by sea at least a few times a week. This means that we spend many of our Homeschool hours here. Taking our Homeschool to the beach presents us with tons of learning opportunities and I am going to share a few of them with you today! Who needs a sensory bin when your child has an entire stretch of sand under foot, the warm sun on their skin, counteracted by the coolness of the water as they wade in for a swim. There is the salty smell of the water and perhaps not so pleasant the smell of fish that unfortunately found itself washed up on the shore. The sight of birds, boats, the sea, the sky, buckets and spades; all an array of colours bringing the senses to life. Legos are a favorite learning tool in our homeschool. They can be used for so many different types of activities and are always fun! In this post I share six fun STEAM activities using Legos! STEAM stands for: science, technology, engineering, art, and math. A STEAM activity is a hands on learning activity involving any combination of the above subjects and often includes some sort of problem solving or creative aspect. We love STEAM education in our homeschool. The 5 subjects STEAM education focuses on are subjects with growing job markets. They're also just a really fun hands on way to learn that encourages creative thinking and helps develop problem solving skills.